Twenty-eight years ago, Charlotte and Samantha Quinn's happy small-town family life was torn apart by a terrifying attack on their family home. It left their mother dead. It left their father – Pikeville's notorious defense attorney – devastated. And it left the family fractured beyond repair, consumed by secrets from that terrible night. "Karin Slaughter has — by far – the best name of all of us mystery novelists. 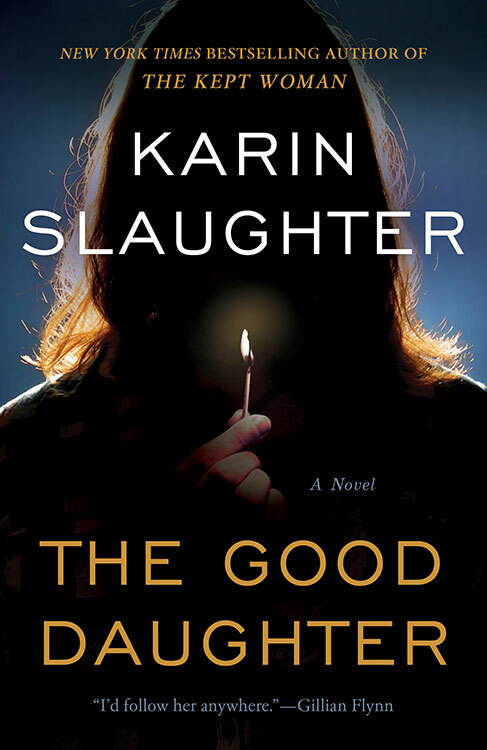 More to the point, THE GOOD DAUGHTER is Karin Slaughter’s most ambitious, most emotional, and best novel. So far, anyway." "Simply the best book you'll read all year. Raw, powerful and utterly gripping — yet written with a tenderness and empathy that will break your heart." "This is a great writer at the peak of her powers. Karin Slaughter is at her nail biting, heart stopping, emotionally draining best." "The darkness of the past is very present in this utterly chilling thriller. With heart and skill Karin Slaughter keeps you hooked from the first page until the last." "It’s not hyperbolic to declare that Slaughter is a master of her craft." "If you like twists and turns, delve into this tale of cold cases and spellbinding suspense." "Slaughter keeps the twists coming. …"
"Whether she’s extending her franchise or creating stand-alones like this, she really does make your hair stand on end." "Book clubs that love taut thrillers: Look no further." "Seventeen years into one of the most impressive careers in contemporary publishing, Karin Slaughter is still pushing herself into new territory. [The Good Daughter] is the author’s most stylistically ambitious novel to date." "It’s Slaughter’s prodigious gifts of characterization that make her stand out among thriller writers." "Karin Slaughter once again proves her tremendous prowess at delivering a page-turning, tautly written thriller." 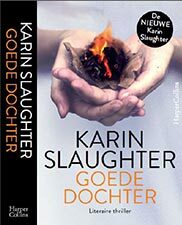 "Karin Slaughter at her very best. It is wonderfully written and unexpectedly touching." "Slaughter's assured writing, her solid plotting with outstanding twists and intense characterizations make The Good Daughter a standout in a career highlighted by several superb novels "
"Karin Slaughter’s The Good Daughter is a Small-Town Thriller With a Strong Female Lead." "The best suspense novel of the year." "Karin Slaughter delivers crisp pacing and characters with the full complement of human quirks and flaws…building expertly to a final twist." "…look forward to a gut-wrenching novel of psychological suspense." "‘The Good Daughter’ by Karin Slaughter Is a Stay-Up-All-Night Read"
"The blend of legal, criminal, and family drama reminded me so much of the shows that keep me binge-watching. And the act of reading the book itself, strange as it may seem for such a dark novel, reminded me of being a kid again, reading a book I just had to finish, regardless of how late it got." One of "The Best Mystery Novels of 2017"